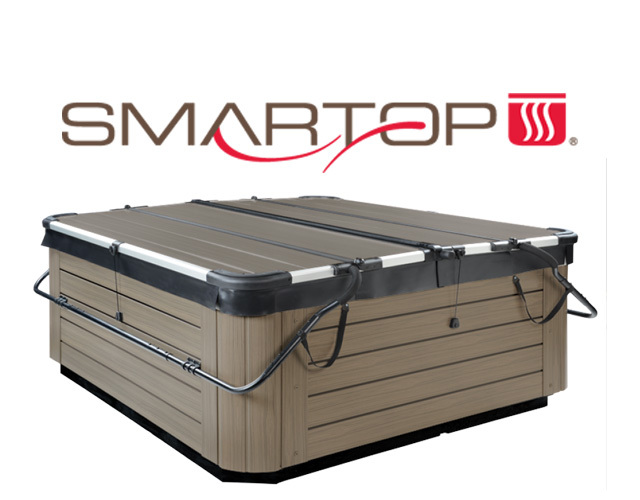 Smartop spa covers are UL safety certified with materials and features that are unmatched in the industry. 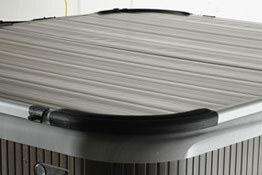 Smartop sets a new standard for home spa covers. 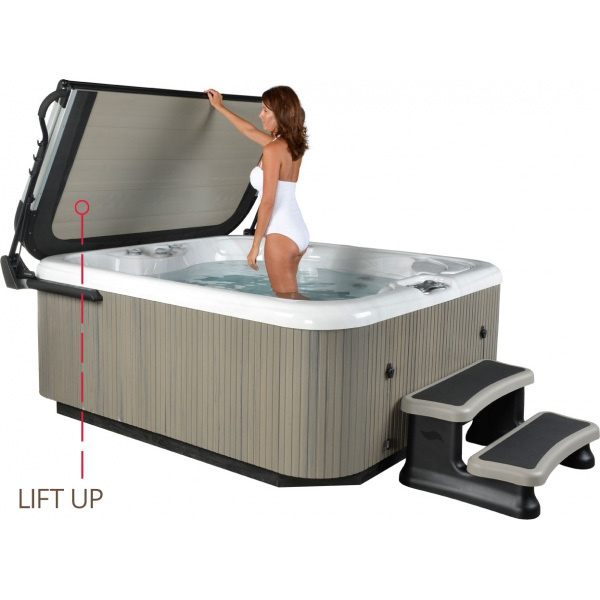 It was designed and is manufactured in the USA to correct the leading problems associated with spa ownership: covers that absorb water, develop odor, become too heavy to use and require regular replacing. 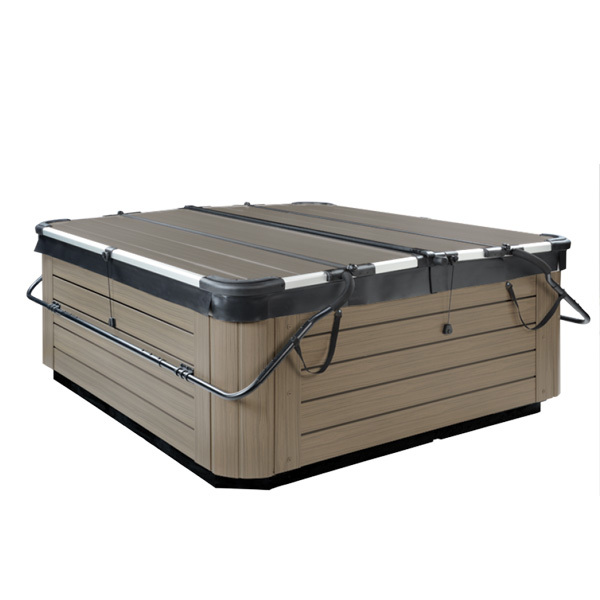 You won’t find a better or longer-lasting spa cover than Smartop. Smartop operates easily with just one hand. 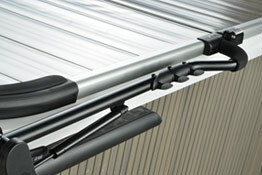 The hydraulic lifter allows the user to fully open the cover to a stable, vertical, locked position. Smartop’s impermeable interlocking polymer panels shield the interior insulating foam from water vapor and run-off preventing weight gain, odor and mold and also allows for long-term optimal heat retention—all common problems experienced with traditional vinyl covers. Made with the same materials used in vinyl fencing and decking. The rigid super polymer deck surface is UV resistant and withstands the harshest weather conditions with no maintenance or treatment required. Smartop will last five times longer than traditional vinyl covers. 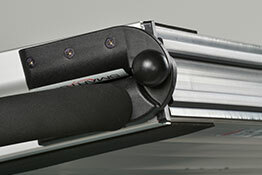 An integrated hydraulic lifter makes opening the Smartop a breeze. 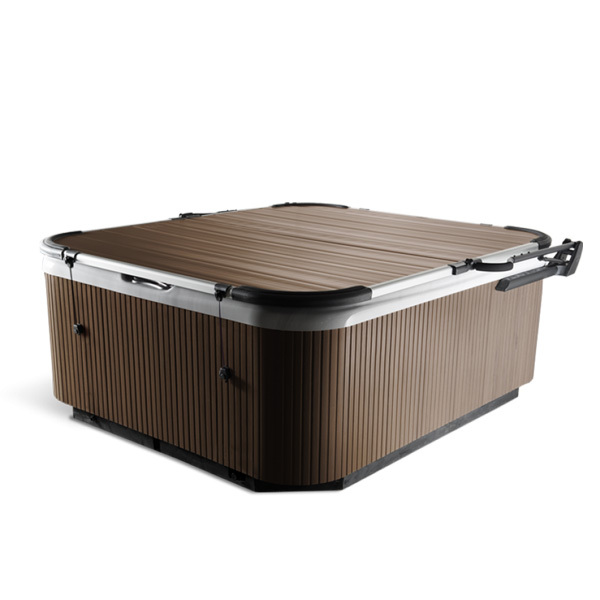 When in the open position, Smartop provides privacy and acts as a wind screen, providing the user the ultimate hot tub experience. Smartop’s structural integrity is derived from its exclusive, patent-pending ribbed panel design, combined with aluminum support channels inset within the polymer panels. 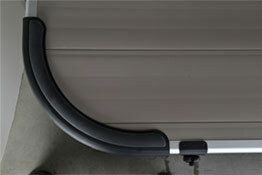 This gives Smartop a load capacity of up to 800 pounds—easily supporting snow, ice, pets and much more. 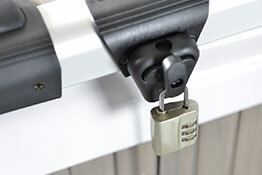 The easy-to-use Steel Cable Cover Lock System coupled with a combination padlock (included) provides ultimate security for your hot tub, preventing unauthorized and unsupervised use. In the unlikely event any part of your Smartop has a problem due to accident or failure, each component is replaceable, making Smartop repairable and the last cover you’ll ever need to buy. One of Smartop’s superior features over vinyl covers is its ability to maintain optimal heat retention throughout its life cycle due to its zero-water retention design and Thermal Super Seal Gasket which create barriers that prevent heat loss. Over time, vinyl covers absorb water through their penetrable surface allowing the insulating foam to become water-logged and lose insulating effectiveness. 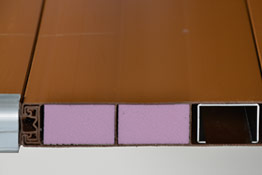 Smartop is insulated using Owens Corning (think Pink Panther) Foamular Rigid Insulating Foam. The closed-cell structure of the Foamular insulation is designed to retain long-term R-value, year after year. 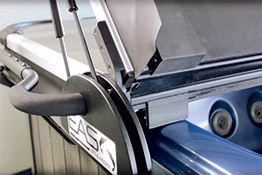 Impermeable, interlocking polymer panels shield the insulating foam from water vapor and water run-off preventing weight-gain and odor in the cover—both common problems with traditional vinyl covers. 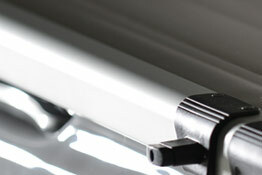 Stylish and maintenance-free aluminum trim makes Smartop strong and looking good. In the unlikely event any part of your Smartop should have a problem due to accident or failure, each component is replaceable making Smartop repairable and the last cover you’ll ever need to buy. 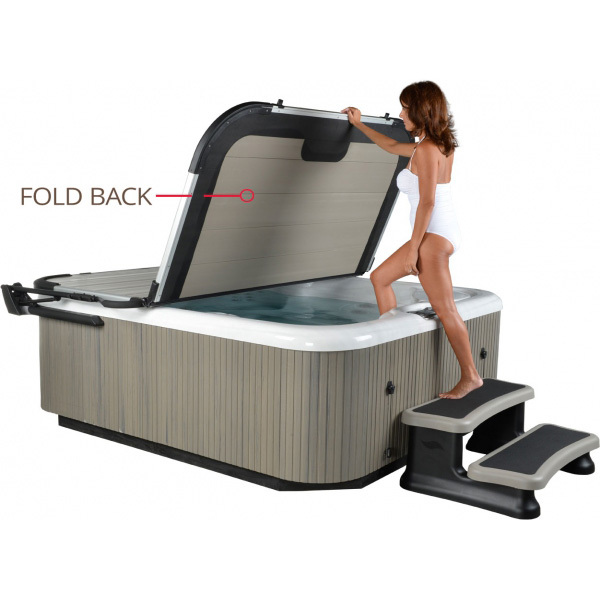 The easy to use Steel Cable Cover Lock System coupled with a combination padlock provides ultimate security for your hot tub preventing unauthorized or unsupervised use. Designed to create a finished look, made of rubber to assist with impact. 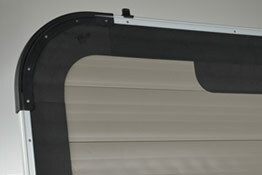 Designed to keep heat in, creating maximum energy efficiency and reducing heating cost. Made of soft rubber. Smartop’s structural integrity is derived from its exclusive patent-pending, ribbed panel design combined with aluminum support channels inside the polymer panels, giving it a load capacity of up to 800 pounds—Smartop easily supports snow and ice, pets and much more.